Availability and Genuine Land Rover Parts: More than anywhere else, Rovers North has the parts you need in stock! We own and maintain Land Rovers too so we know that when you need parts you often need them right away. Our commitment to North America's Land Rover enthusiast has lead Land Rover UK to award us with the only non-dealer direct parts account with Land Rover Export in the World which gives us unparalleled access to Genuine Land Rover Parts. Our support does not end with Genuine Parts, we carry a full line of ProLine parts as a high-quality genuine substitute. And if you break something we do not stock, our VOR (Vehicle Off Road) program is your best bet to getting the parts quickly. We receive weekly VOR air shipments directly from Land Rover Export to get your Landy up and running ASAP. Factor in our low prices and unparalleled warranty and it is no wonder we have been the enthusiast's choice since 1979! What is ProLine? ProLine is the perfect intersection of Rovers North's philosophy of providing the best parts at the best prices with unparalleled customer service. Not all aftermarket parts that meet OEM specifications are created equally! With the variety of non-genuine parts available, separating the inexpensive high-quality parts from the cheap junk can be a time consuming, expensive and frustrating endeavor. ProLine is Rover North's solution: We tested the best parts from a multitude of manufacturers and selected only the finest to sell as Rovers North ProLine. Every ProLine part meets our exacting criteria of performance and quality at the best price and like everything else we sell, all ProLine parts are backed by our exclusive one year unlimited mileage guarantee against manufacturers defects. 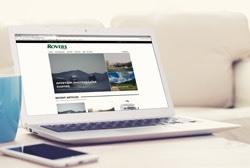 Rovers North leads the industry in customer service. We back everything we sell with a two-year unlimited mileage warranty against manufacturers defects. So you can shop with confidence that you will get quality parts that last, because no one likes buying things twice. For more details, view our warranty and return policy. Family owned by enthusiasts for over 30 years, we eat, sleep and breath Land Rovers. If you poked us we would bleed green... or Girling brake fluid. Over 30 years ago, Mark Letorney's love for Land Rovers inspired him to start Rovers North and to this day he has never owned anything but a Land Rover. Mark's wife Andrea has been at Rovers North since day one, together they have made it the premium Land Rover Parts provider it is today. In recent years their sons Graham and Calef have returned to Vermont to work at Rovers North, making it a true family business. But Rovers North is more than just the Letorneys, many of our staff members have been with us for decades. Simply put, nobody in the USA has the Land Rover parts knowledge and experience we do. Every call or email is answered by a trained Land Rover parts specialist with access to the largest selection of Genuine and aftermarket parts in the USA. So don't trust your order with some mega online automobile parts store selling generic parts for a dozen different brands of vehicles or a miniature dotcom start ups, stick with Rovers North; we have the experience and knowledge to get the job done right. Go ahead, compare apples. Our prices are the best in the business. We know you're price conscious. We are too. Whether it is Genuine Land Rover Parts or our own ProLine selection of aftermarket parts, we buy smart and pass the savings on. For hot deals on close out items, unclaimed special order parts and "Scratch and Dent" parts. But the good deals aren't limited to the Clearance Outlet they are site wide, so check them out yourself! Or call (800) 403-7591 to speak with a parts specialist.